12116 Meekerville Road, Forestport, NY.| MLS# 1803260 | Benn Realty LLC -Since 1968, and now with offices in Old Forge and Remsen to serve you better. This updated ranch has a large master bedroom with a new ensuite half bath. There are 2 additional bedrooms, a full bath, a galley kitchen with dinette area, large open living/dining room combination, and a utility and mud room. 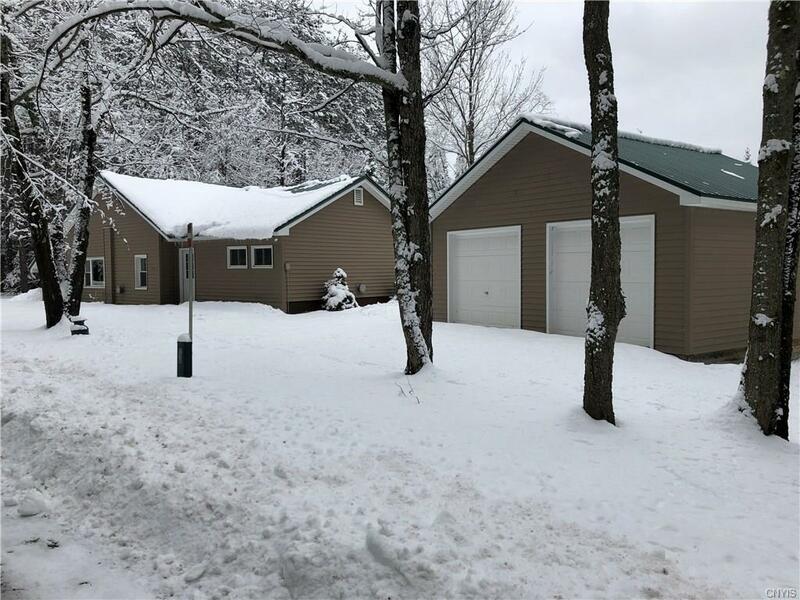 New vinyl siding and steel roof in 2009, New 2 stall garage in 2009, new propane furnace in 2016, auto start generator, terraced back yard leading to your very own water frontage on Woodhull Creek! On a dead end road on the snowmobile trail for Winter enjoyment too! Directions To Property: From Forestport Station, Take North Lake Rd. Past The Buffalo Head. Meekerville Rd. Is The First Left. Property Is On The Right Before The Dead End. Nearest Cross Street: North Lake Rd.